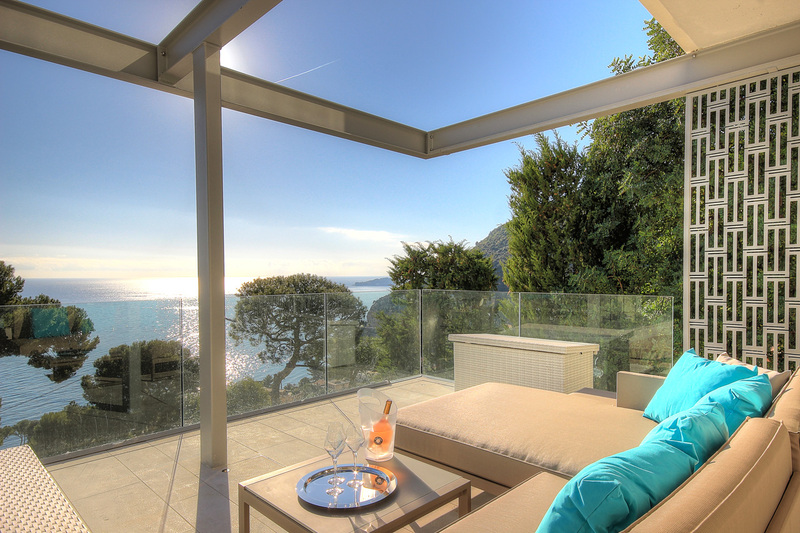 Vacations in Eze sur Mer? 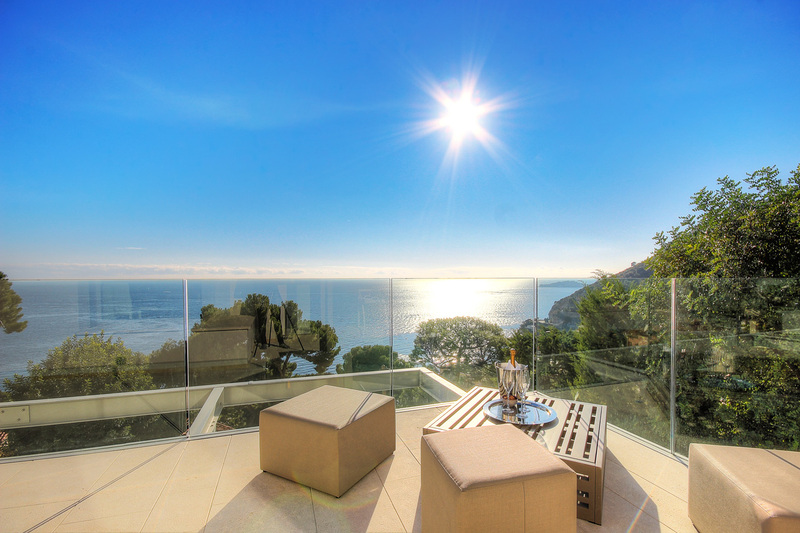 Live magical holidays with your family & friends on the French Riviera, in this 6 floors contemporary villa, with 400 m2 (4300 sq.ft) of interior space, a gym, sauna, steamroom, tropical shower and swimming pool on the roof with sea views; located in the medieval-chic town of Eze sur Mer, only 5 minutes from the famous Zelos Beach in Beaulieu sur Mer. 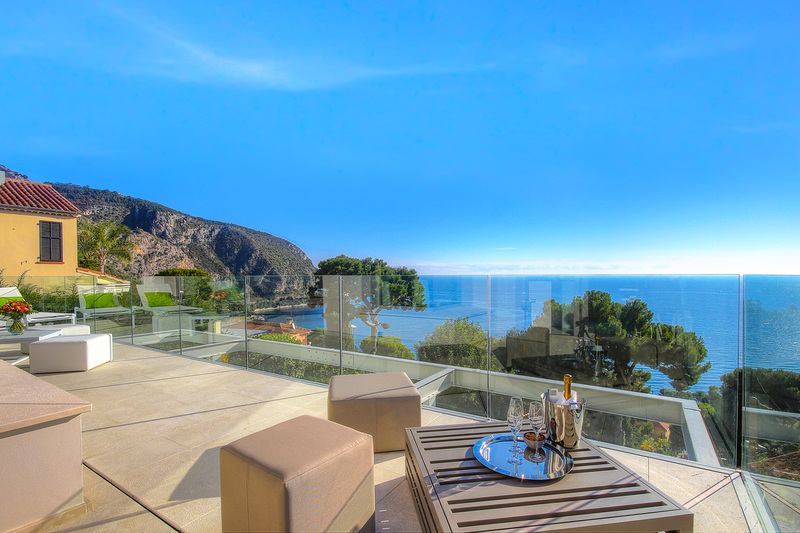 Welcome to your Villa La Mer, an icon to the French Riviera's XXI century Art de Vivre. 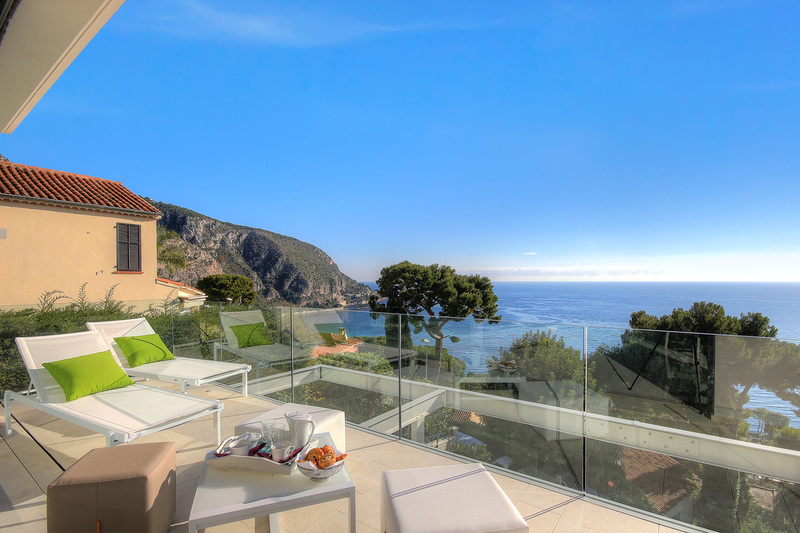 Need the warm sun and perfect climate of the South of France? Your Villa La Mer is waiting for you! Relax in your villa made for the first class comfort of 10 guests, offering you 5 bedrooms with ensuite bathrooms (with 2 extra rooms with beds for more children or nannies), all the latest technologies, designer furniture, marble, a grand open concept dining, kitchen and living space, with floor to ceiling windows for your legendary entertainment. Want to have an amazing health and look great this year? 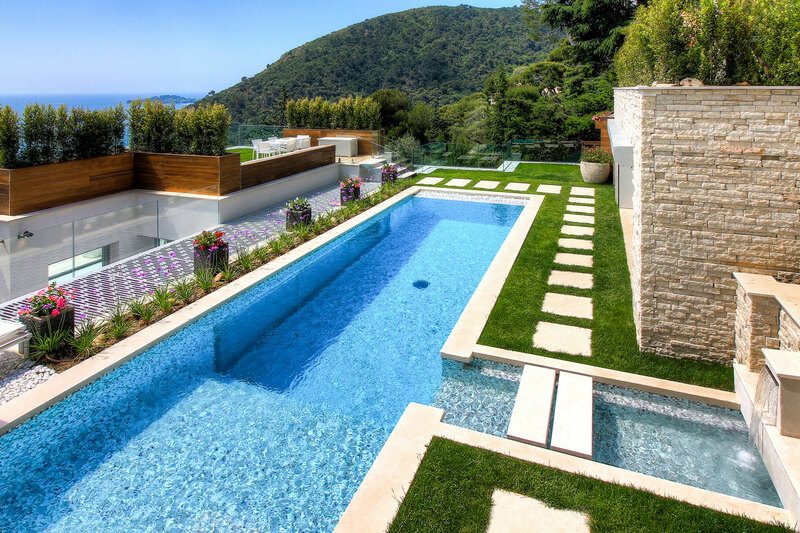 Enjoy delicious meals, sport sessions at your gym, an outdoor living room, large terraces with outdoor daybeds for your golden tan and a 12m long heated swimming pool on top of the villa with views on the Mediterranean sea that will make you say: "How much for the property? I want to live Here!" Athlete? Start your day with a jogging to la plage d'Èze on l'Avenue de la Liberté and dive in the sea! You desire a local perfume? Visit the ateliers of Fragonard high at the village of Èze! Lover of nature? Discover the Exotic Garden of Èze. Drinks on the beach? Relax facing the sea at Anjuna Beach! 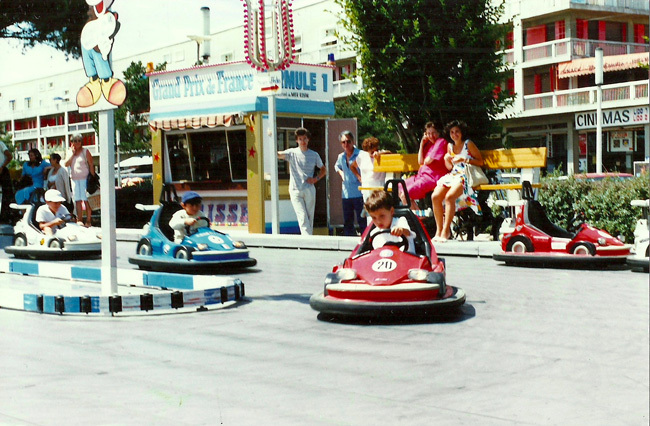 Want to go to Monaco? 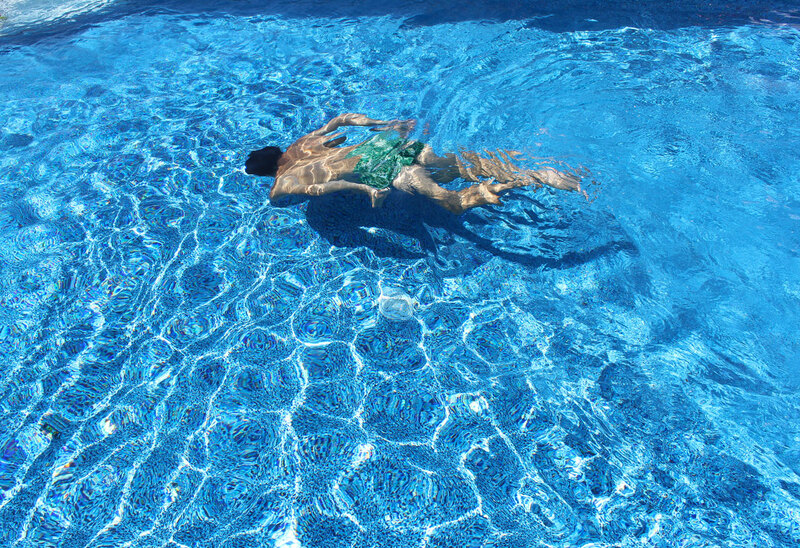 Just 20 minutes away, swim at the Larvotto beach, shop chez Louis Vuitton, eat at La Vigie Restaurant, play tennis, enjoy the different spas, meet your friends at the Casino, dance at night chez Jimmy Z, discover the different museums and all year around fairs, take care of your bank affairs or reserve a yacht for the day to enjoy the treasures of the Cote d'Azur such as l'Île Saint-Marguerite! More the quiet type? 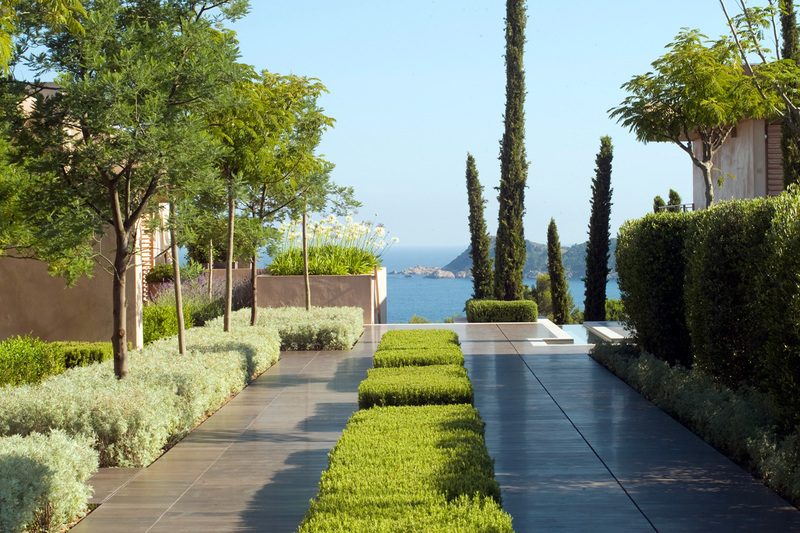 Saint-Jean Cap Ferrat has amazing gardens not to be missed for a healthy walk, or perhaps a nice conversation over a glass of wine at Paloma Beach facing the sea? You want to party?! Let Casol book your helicopter ride with Monacair to Saint Tropez ou Cannes ! 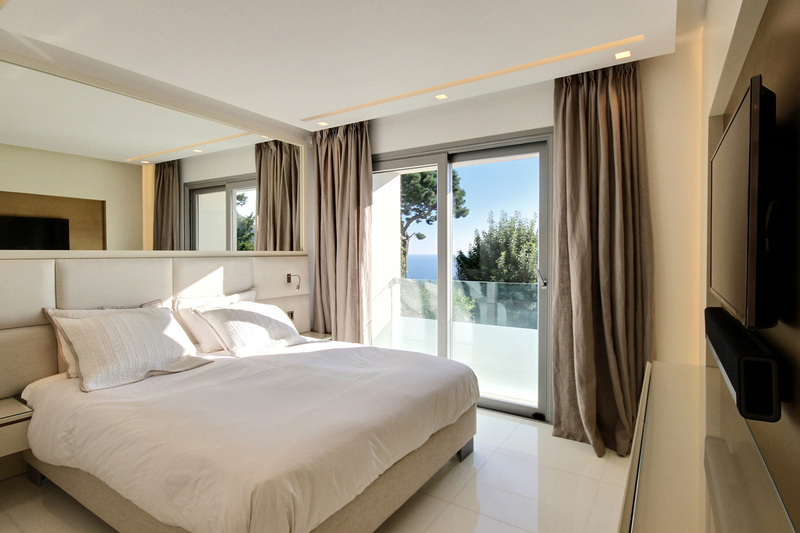 Bedroom 1: Master bedroom on your 4th floor, extends over 60 square meters (646 sq.ft.) 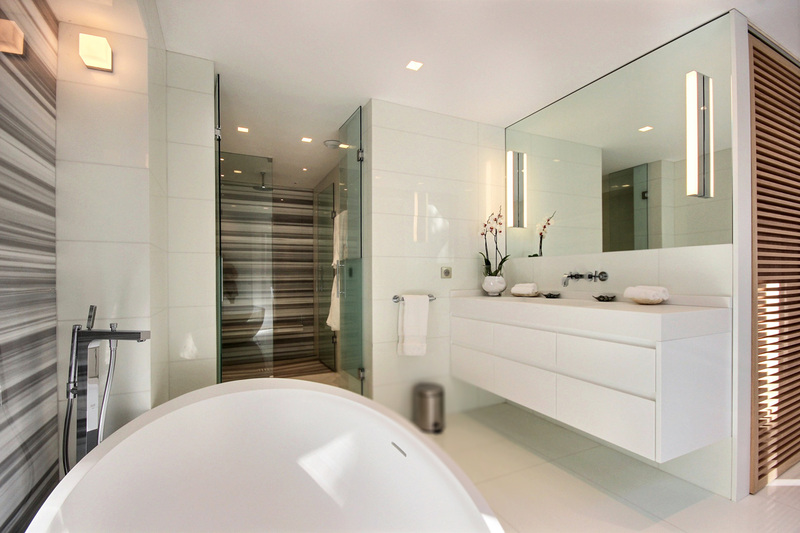 and includes a separate walk-in dressing area, Dressing table and Ensuite Bathroom. It has been fully fitted with the latest technologies and designer furniture including a beautiful super king bed with luxury bed linen for your comfort. TV and sound system. 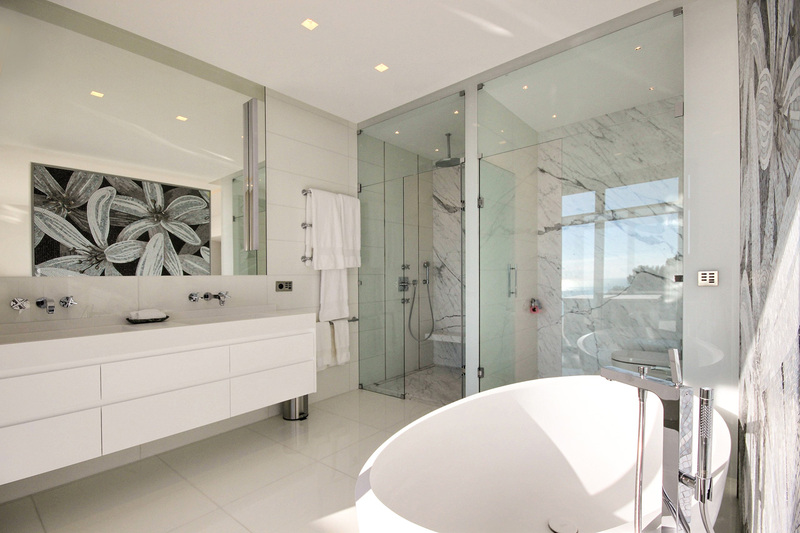 Your ensuite bathroom comprises of a free standing bathtub, separate step-in shower, Double sink, toilet, bidet and is decorated with beautiful Calacatta marble and Sicis mosaic. 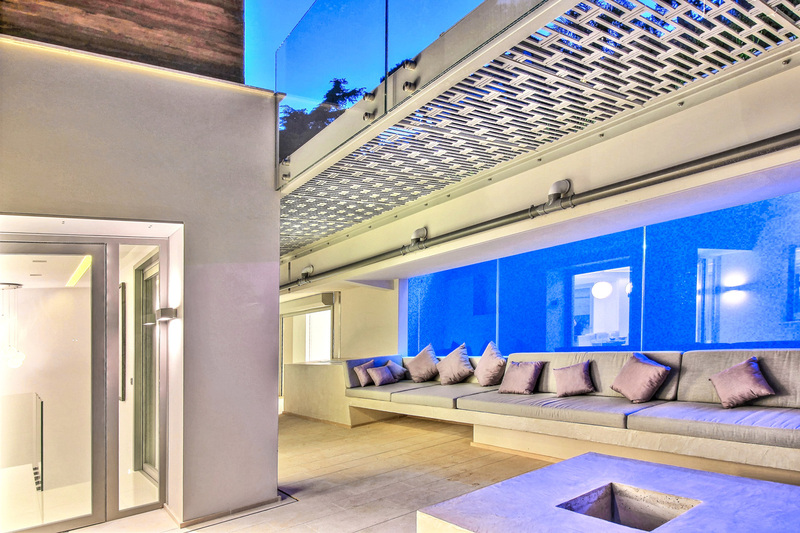 You also have a large 4th floor terrace with outdoor daybeds for private lounging with sea views. Bedroom 2: VIP bedroom on your 4th floor, 50 square meters (538 sq.ft. ), with its own walk-in closet, beautiful ensuite bathroom and its designer furnitures, it offers the perfect cocoon for your guests or close relatives. King size bed with luxury bed linen, Dressing table, TV and sound system, their ensuite bathroom comprises of a free standing bathtub, separate step-in shower, Double sink, toilet and bidet. 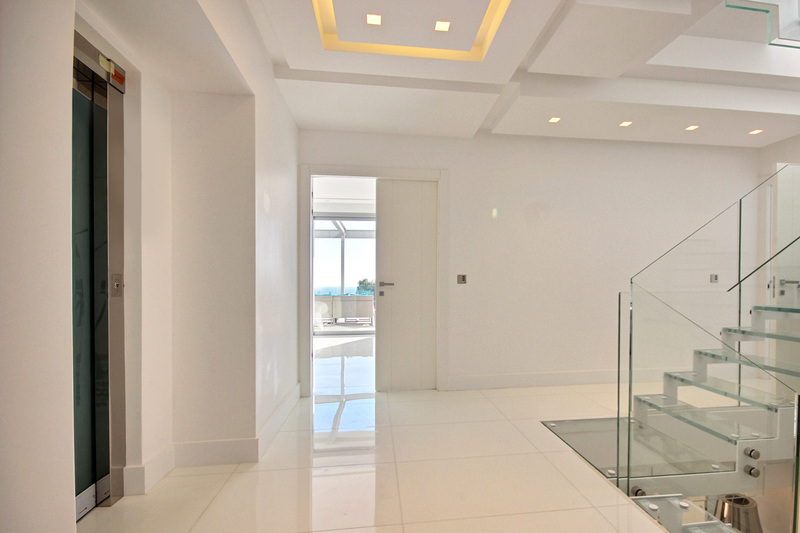 Private garden, Large 4th floor Terrace with outdoor daybeds for private lounging, Sea Views. Bedroom 3: Family Bedroom on the 3rd floor with Ensuite Bathroom offering you Walk-in shower room, Single sink, WC and bidet. 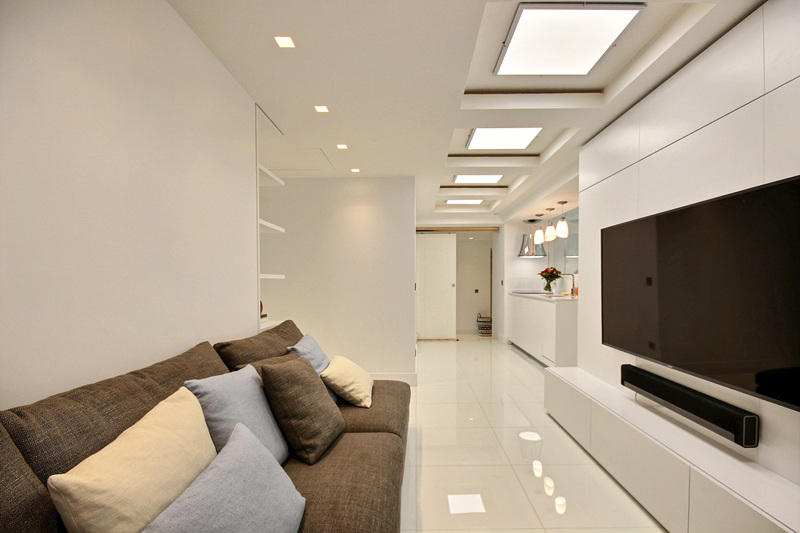 Fully fitted with latest technologies and beautifully designed furnitures. 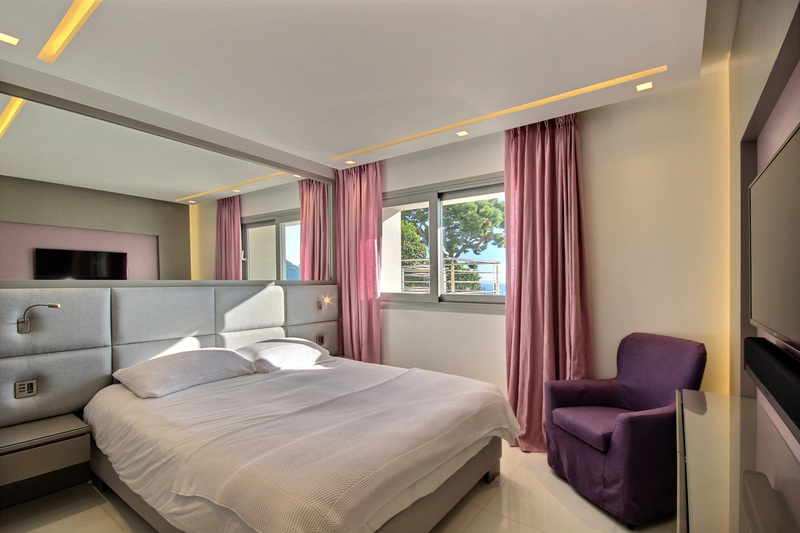 Queen size bed with luxury bed linen, Lounge area with convertible sofa to accommodate 2 children, Direct access to the maid’s room, Sea Views. Bedroom 4: Guest bedroom on the 3rd floor with Ensuite Bathroom with Walk-in shower, single sink and WC. Fully fitted with latest technologies and beautifully designed furnitures. Queen size bed with luxury bed linen. TV and sound system. Sea Views. Bedroom 5: Guest bedroom on the 3rd floor with Ensuite Bathroom with Walk-in shower, single sink and WC. Fully fitted with latest technologies and beautifully designed furnitures. Queen size bed with luxury bed linen. TV and sound system. Sea Views. 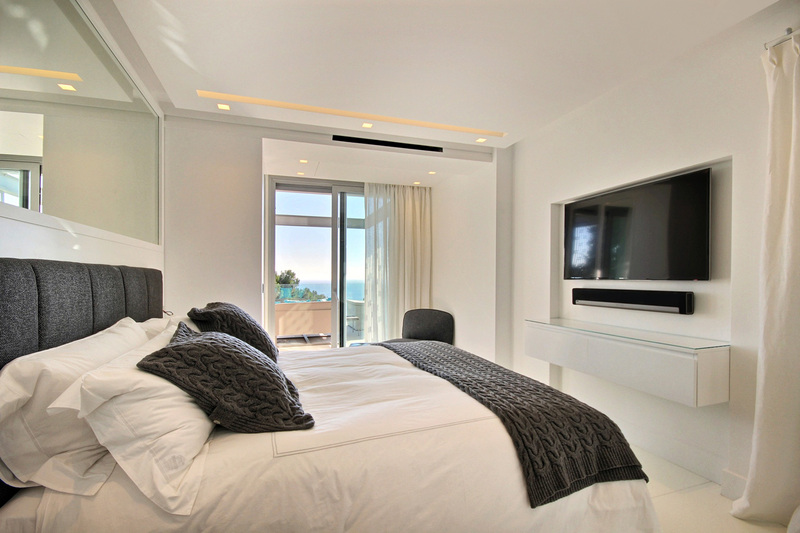 All bedrooms are fitted for you with iPads to control the bedroom appliances and the entire house, and the latest video and sound systems. 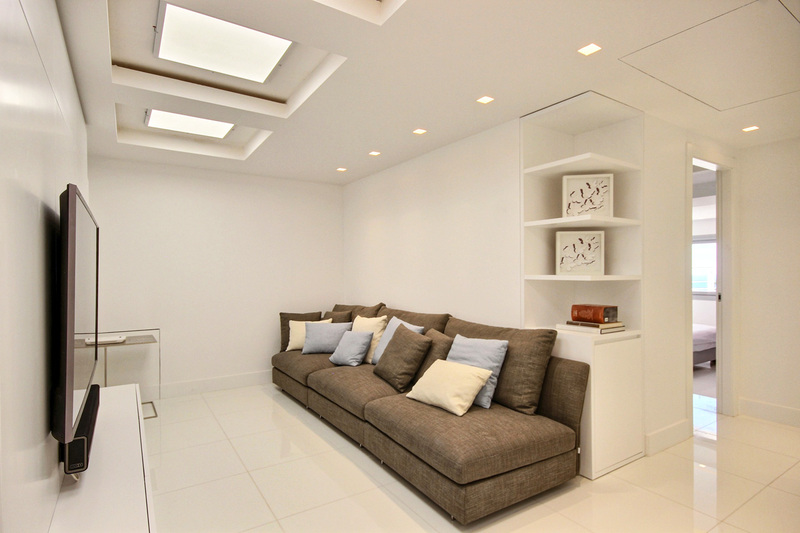 Manage your room temperature via hidden air conditioning units and underfloor heating. You can access all bedroom floors with your internal elevator. 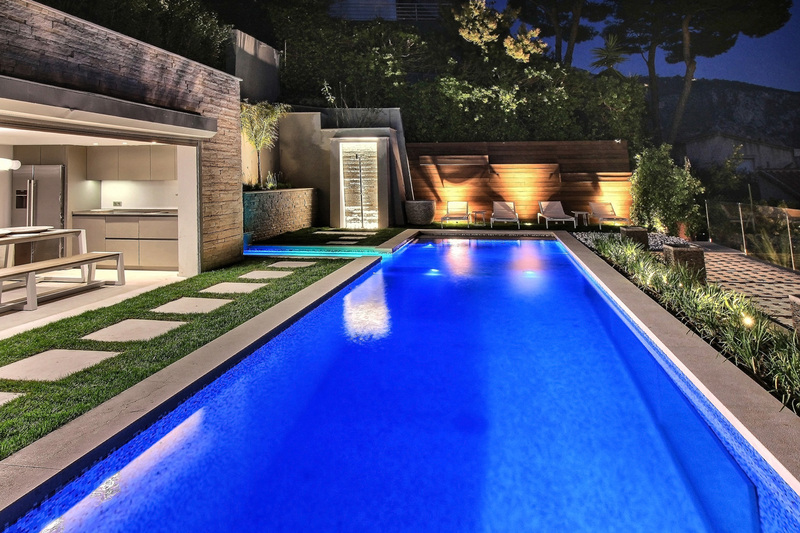 They all enjoy the outmost privacy and can be tailored around your specific needs. There is also easy access for handicapped or elderly people thanks to the elevator. Outside living spaces: Enjoy rooftop lounging and dining under the stars, shaded dining in the pool house for long lazy summer lunches, afternoon suntanning around the pool or reading in the daybed, aperitivo in the outside lounge behind the living room where you will find an exceptional space combining the elements of fire and water and the incredible vistas ranging from the inside of the swimming pool to the sea and horizon behind. 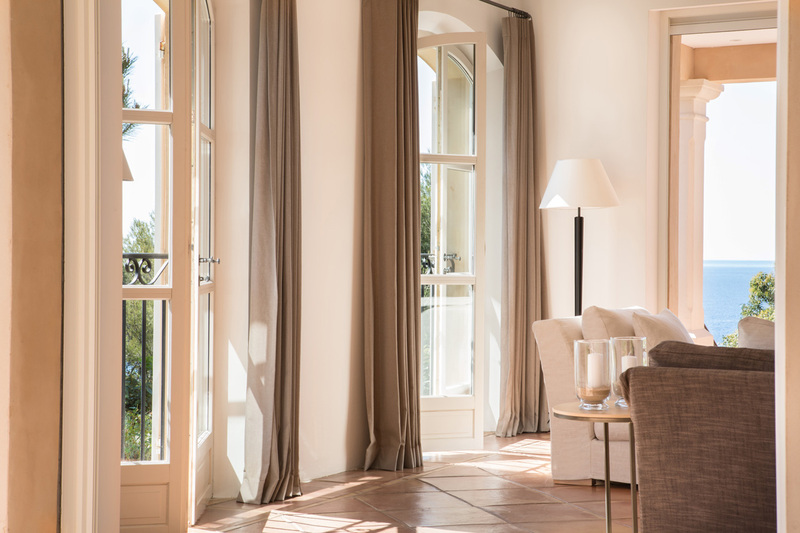 Living Area: on the 5th floor of the villa, the main indoor living area enjoys beautiful views over the Mediterranean Sea, and the Cap Ferrat shows its world famous shape through a specially designed angled window. 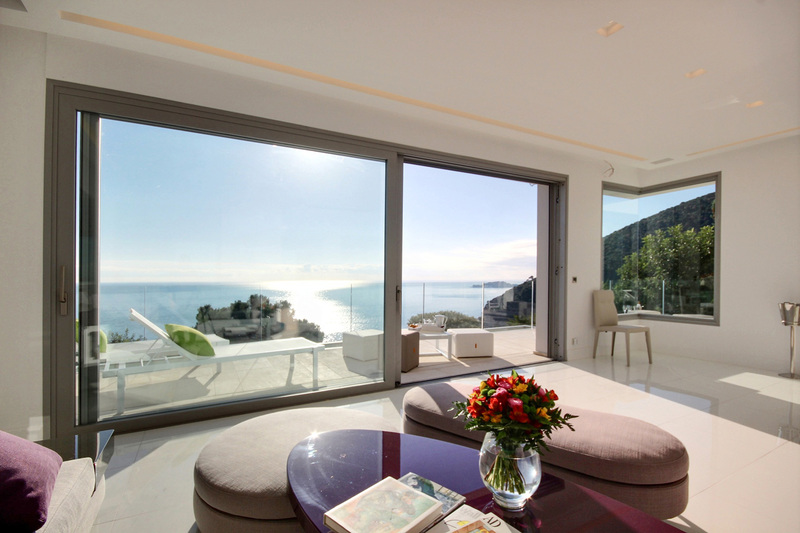 Guests in Villa La Mer will enjoy this living room all year round. 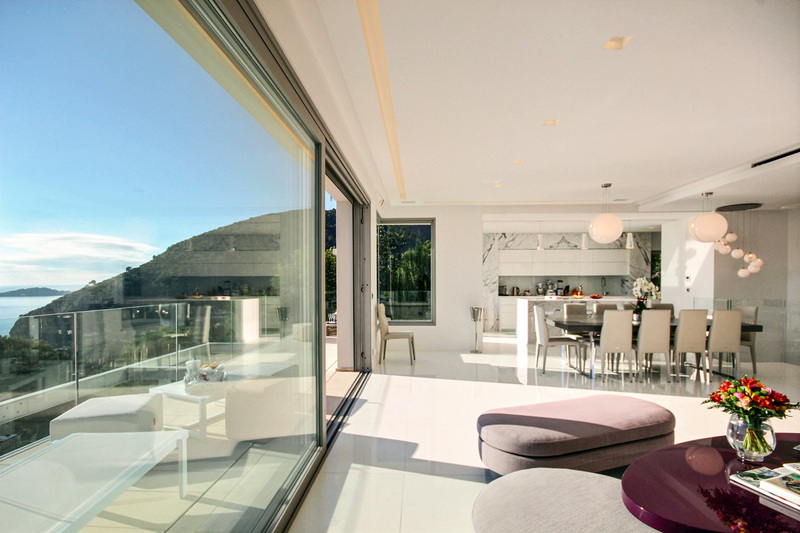 Floor to ceiling windows opening on a terrace offer an open and bright area. Celebrating your birthday in winter? With its modern fireplace and heated flooring, the room offers a private area for lounging and dining with your family and guests on the Côte d'Azur! The Dining Area: is situated between the living room and the kitchen, this dining area can easily accommodate up to 12 people in a seated format, thanks to its B&B dining table extendable to 3.2 metres. The house is equipped with all the necessary luxury tableware and cutlery as well as glassware for you to entertain in legendary style. 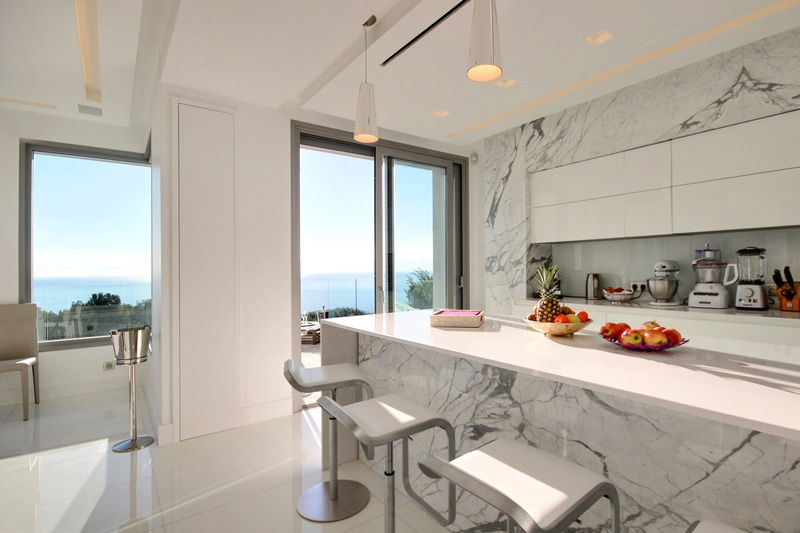 The Indoor Kitchen opens up the living room. Eat a quick lunch at the bar! It comes equipped for you with the latest Gaggenau and Siemens appliances, including a double size refrigerator, double size oven, a induction plan, as well as a wine cellar and other speciality equipment such as a special steam oven, Vitamix and Nespresso machines. 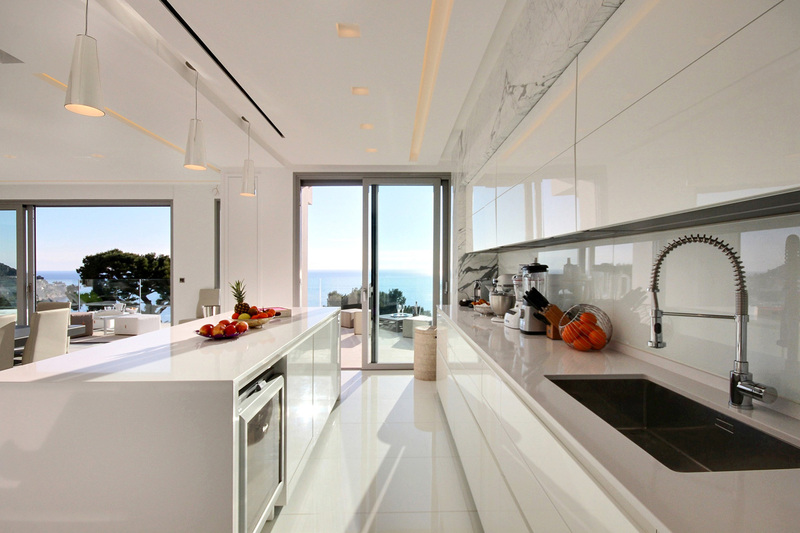 The main cooking appliances are situated at the back of the kitchen for better comfort. Want a delicious diner with a private French chef? Just ask Casol to invite you a chef to cook and serve at your party! The Outdoor Living Room situated on the same floor at the back of the living room, enjoy the shade of its pergola ahead of lunch or dinner. 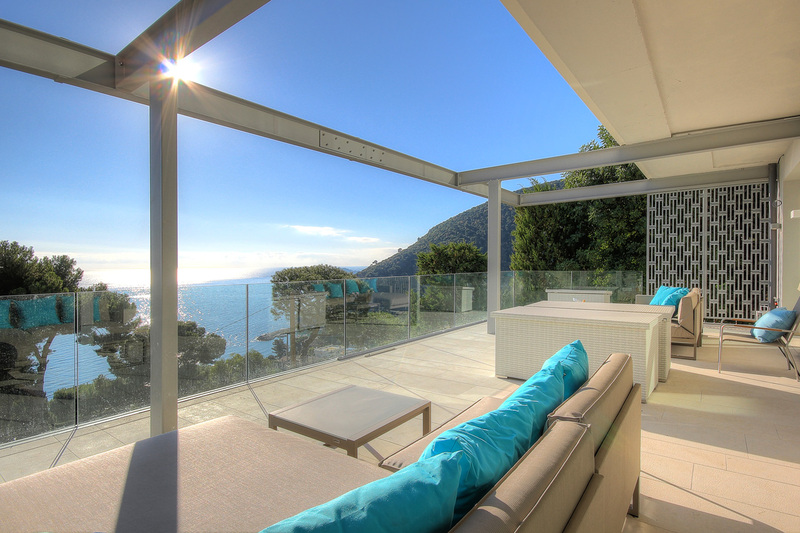 With its fire display and it's 3m long glass windows offering views inside the swimming pool and through the glass doors onto the sea and the horizon, its atmosphere has no match in the South of France! The Rooftop Terrace covering the entire roof of the villa, is a multifunctional area to enjoy all day long and at night. Have a vodka orange juice or a quick bite on the deck area! 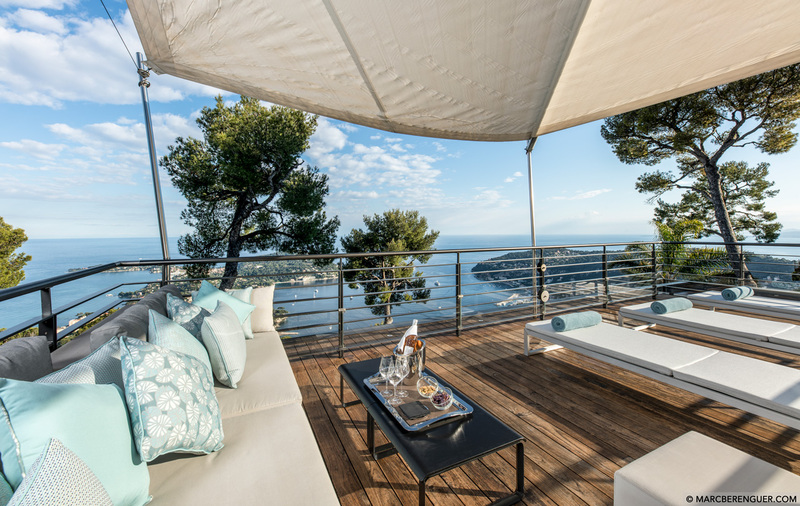 Others can lounge on the grass admiring the outstanding panoramic view, from the charming village of Eze, to Cap Estel, Eze Harbour and the Cap Ferrat. For summer nights spent enjoying the beautiful vistas, there is also the possibility to install a dining table on the rooftop if you just cannot get enough of it! 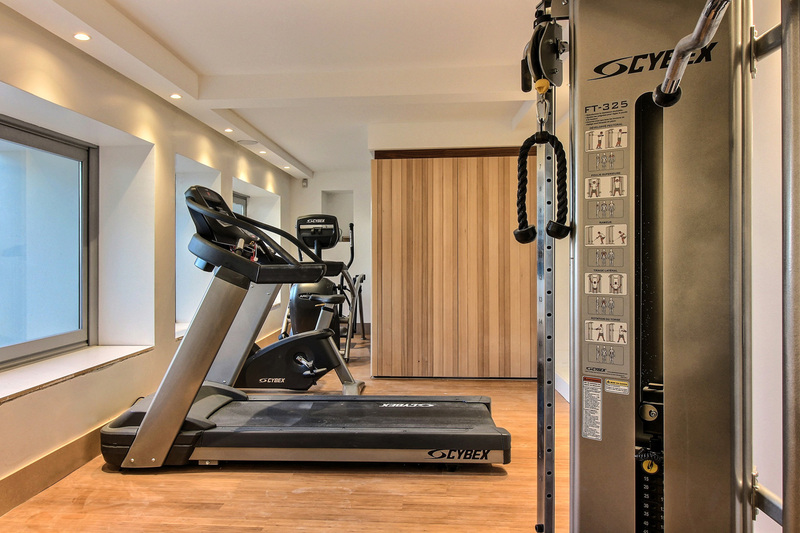 The Family Room situated on the 3rd floor at the same level as the family bedroom, has been fitted with a 60-inch TV, the latest video and sound systems and a game console, allowing children and adults to be entertained all day long. It enjoys its own independent small kitchen for last minute cravings. 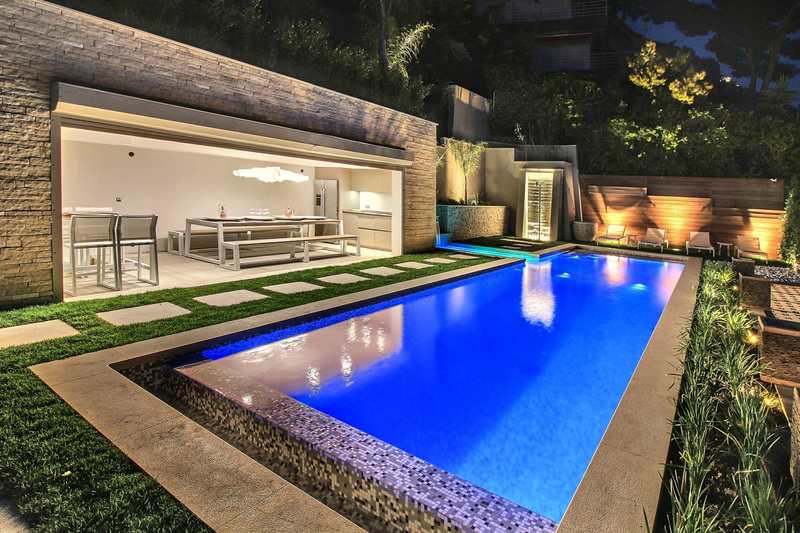 The Pool House: Guests of Villa La Mer access the Pool House from the outdoor living area through an underground tunnel that opens up onto the main outdoor area on the top of the property. A 3m long table allows guests to enjoys long lazy lunches and dinners by the pool, admiring the glazing stars of the Cote d’Azur at night. 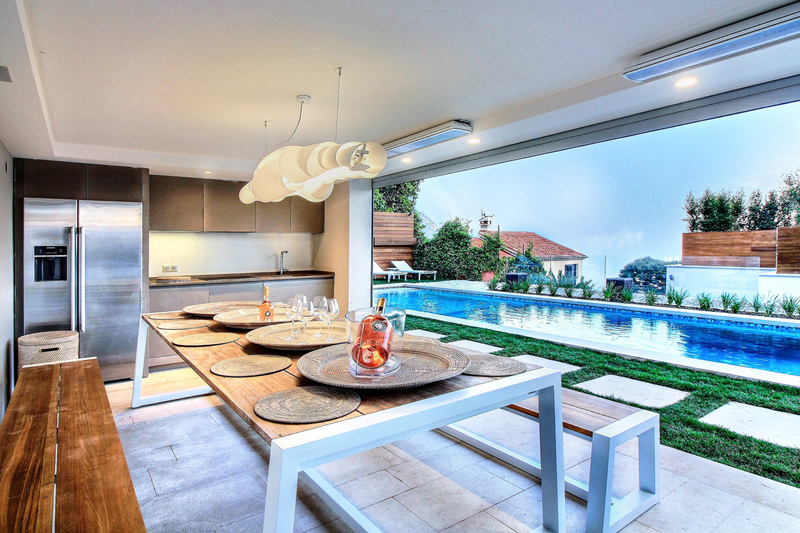 The Pool House also comes with its fully equipped kitchen, its barbecue area and its specially fitted pizza oven. 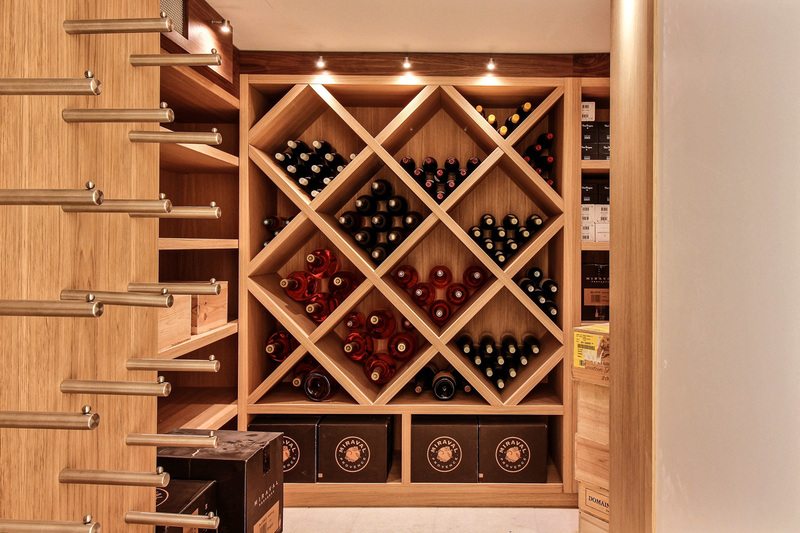 The Wine Cellar: In order to match the wonderful entertainment spaces and the quality kitchen spaces, Villa La Mer also boasts a wine cellar so that you never have to compromise on the choice or quality of your wine. Specific arrangements can be made with regards to the wines for your stay. Maximum 10 guests, children welcome, cash security deposit, 7 days rental minimum (14 days during July and August). 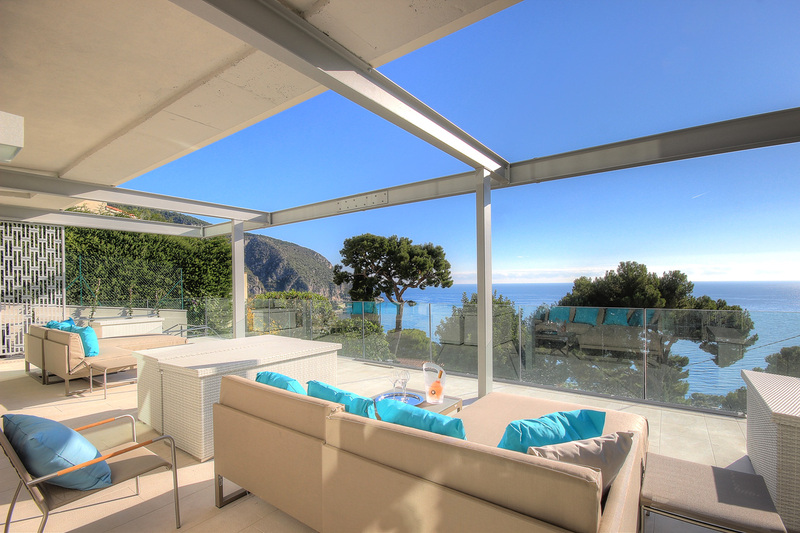 Rent now your Villa La Mer, 5 minutes from the Eze beach on the Côte d'Azur with Casol Villas France. Mademoiselle is going to the French Riviera? Offer yourself a Carré Casol, perfect to be warm on the plane, as a pirate beach bandana or for your chic soirées in town!